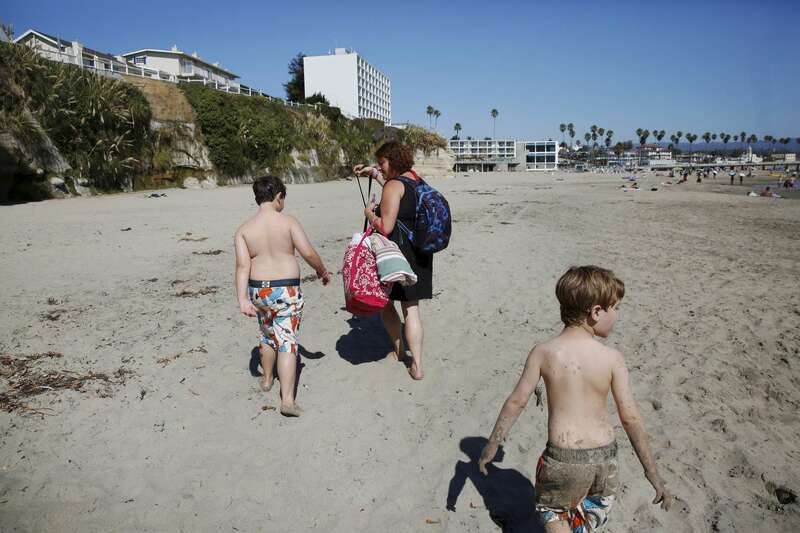 From left, siblings James Kaplan, 8, and Charley Kaplan, 4, walk back to their hotel with their mother Sara Kaplan after a surfing lesson during a family trip Oct. 9, 1016 sponsored by Focus on Cancer in Santa Cruz, Calif. Sara, who survived kidney cancer, was sponsored by the company which works with cancer patients and survivors and their loved ones to provide support and special trips to reduce social isolation. Since the reporting of this story, Charley has been living as a girl. She is wearing dresses, growing her hair out and has taken a more feminine name.